I consider myself a brave and courageous woman. There are very few things in this life that can faze me. But despite my adventurous demeanor, a chill goes down my spine every time I hear about Parkinson’s disease. I love boxing, and the fact that this disease has affected and will still affect hundreds of boxers makes me guilty for loving the sport. After the Great Ali, I started learning about other celebrities and people I looked up to with Parkinson’s. Wikipedia gives a looong list of these celebrities (some lived in the age of my great grandfather) – it is insane. On the list is Muhammad Ali, Pope John Paul 2 and Linda Ronstadt. It is really sad especially since these were great icons and a light to the world. Reading this, you might not know a lot about Parkinson’s disease. But I’m sure you already know its most famous symptom – the tremors, shakes and shivers. This is how it all starts. With this symptom alone, I find myself accurately diagnosing patients on Medical based TV shows like House M.D, The Good Doctor, the Resident and the likes. Yes, I’m that person who turns into a doctor when watching House M.D, turns into a lawyer when watching Boston Legal and a detective when watching NCIS. With that, I guess it’s time to get started on the learning. Before Muhammad Ali passed on, he talked a lot about the disease. He tried to create awareness and raise money to help fund research and take care of individuals suffering from it. While he worked so hard on this and achieved a lot, there is still a long way to go and a lot of things to be done. Simply put, Parkinson’s disease is a progressive neurodegenerative disease. It is referred to as progressive because it worsens over time. It is neurodegenerative because, over time, it causes degeneration of neurons in the brain. Now the brain has lots of neurons sending and receiving messages from the body. But the neurons affected by this disease are the dopamine neurons. They are very few of these neurons in the brain. Dopamine neurons are tasked with the responsibility of producing…you guessed it…dopamine. Dopamine is a chemical that transmits signals between nerve cells in the brain. These neurons are located in the substantia nigra. This is a part of the brain that is located in the midbrain and that sits above the spinal cord. When the dopamine neuron cells die, the dopamine levels in the brain take a dip. The reduction in dopamine eventually leads to movement problems as we shall see later on in this piece. The worst bit about all this is that the degeneration of the dopamine neurons cannot be stopped and the process is irreversible. In its initial stages, you won’t notice anything is amiss. However, as more and more dopamine neuron cells die, a threshold is passed and then symptoms start to manifest. 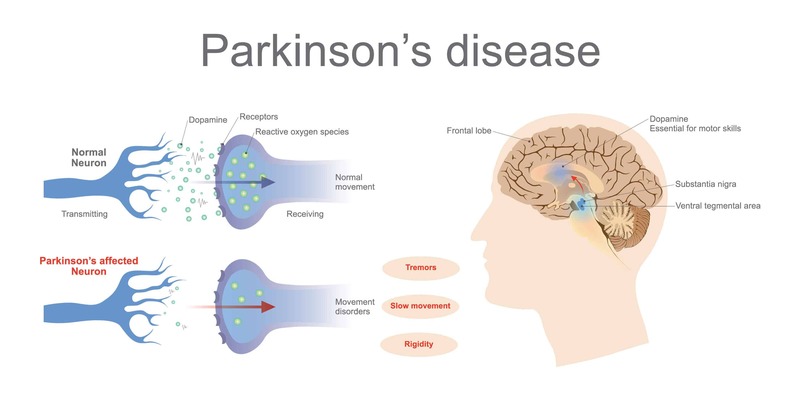 Before we progress to the symptoms of the disease (mind you movement problems are not the only symptoms of the disease), it is important to point out that not only old people or those above 60 are diagnosed with Parkinson’s disease. It is possible for individuals as young as 50 years (though a small percentage) to develop it. In this case, it’s referred to as Young-onset Parkinson’s. 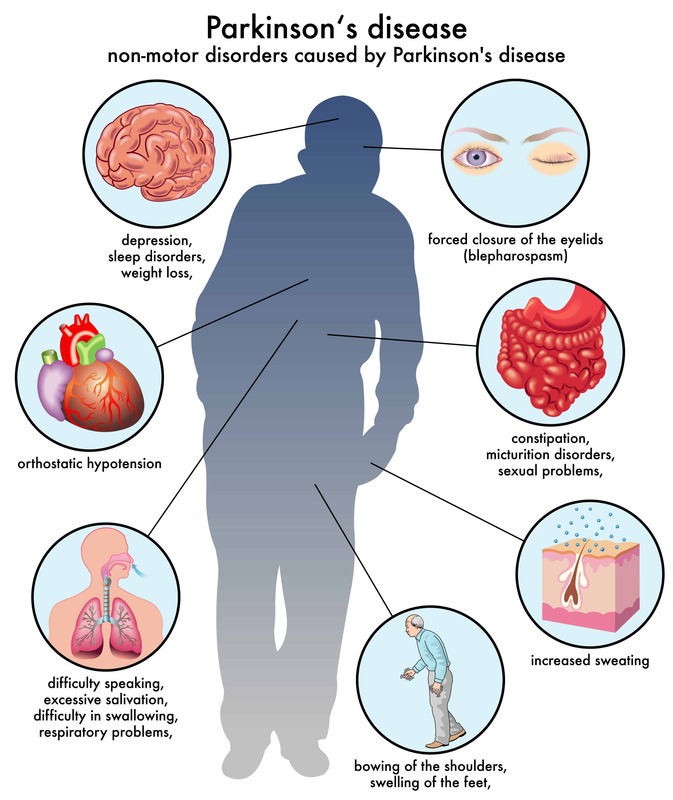 Signs and symptoms of Parkinson’s disease are divided into two – primary and secondary symptoms. The primary symptoms are related to the involuntary and voluntary function. Most often than not, these symptoms start on one side. They start off as mild and progress with time. Studies conducted reveal that by the time these symptoms are showing, the disease has wiped out between 60 and 80% of dopamine neurons – insane right? Here are the motor symptoms. Tremors or mild shaking can be experienced in the hands, fingers, feet, arms, jaws, head and legs. The tremors happen when a person is resting and never when they are busy doing a particular chore. The shaking tends to get worse when an individual is stressed, tired or excited. This is often referred to as stiffness. This is felt when one bends a part of his/her body: the leg, arm or trunk. So when bending the part in question, say the leg, the movement does not feel fluid like it used to. Often, stiffness may cause muscle pains and aches. A loss in the fluid movement of the hands can affect one’s handwriting and even make it a challenge to eat. With the onset of Parkinson’s, someone will take a lot longer to complete a particular movement, say waving or lifting the leg. To give you an idea of how frustrating this is, think of the last time you went swimming in a pool or in the ocean. When in the water, it took you a longer time to somersault or run away from your friend than it would have if you were out of the water. This is usually because of the water’s resistance against you. So a person with Parkinson’s disease can complete these movements, only that it will take them a lot longer to do so. Coupled with rigidity, the two can also affect the muscles on the face causing one to be expressionless. If you’re a poker player, you are probably thinking this would come in handy. Well, it could but the price paid is costly. It is like wearing a mask and not being able to smile, frown or laugh. Your life will literally feel like it has no seasoning. Impaired or worse still, lost reflexes make it really difficult to adjust one’s posture to keep balanced. Postural instability will lead to frequent falls. This can be super dangerous especially when moving down the stairs or when handling sharp objects. Individuals in whom the disease has progressed may develop a shuffling walk. They may adopt a stooped position and even lack arm swinging. For most, it may prove challenging to start walking or make turns. Yes, you never think about these things, you just do them. For patients with Parkinson’s disease they may have to concentrate to be able to complete them. In addition to this, they may freeze while walking and even fall forward. This may sound comical (something we have seen numerous times in cartoons animations), but in real life, it is quite sad and depressing. Having the ability to tell what food is before you or being prepared without looking at it is awesome. Life without a sense of smell is unimaginable. But this is the reality individuals with Parkinson’s disease have to deal with. Some (since the disease manifests differently and uniquely for all) experience trouble smelling foods including dill, pickles, licorice, and bananas. That said, you should note that your sense of smell may dip if you have a stuffy nose, a cold or flu. But once these have passed, it comes back to you. Though not always, tossing and turning while in bed could be a clear sign of Parkinson’s disease. Sudden movements while in deep sleep could warrant a visit to the doctor for a check-up. Before anything is confirmed, you should not jump to conclusions especially if this is the only ‘symptom’ you are experiencing. Yes, if you strain to empty your bowels on a daily basis, it could mean you have Parkinson’s disease. You should speak to your doctor. But while you prepare to do so, you should evaluate your condition since constipation is a symptom caused by other ailments in the body as well. For instance, not drinking the recommended 8 or more glasses of water on a daily basis or having enough fiber in your diet could cause you to walk into the bathroom with a novel (and we all know what that means). Also, some medications, especially pain medication have constipation as a side effect. But if the above are not causes of your constipation, you should seek medical attention. There are some individuals who naturally have soft and low voices. It does not mean that they have Parkinson’s disease. However, if there is a sudden change in your voice, you should seek medical assistance. You might think people around you are losing their hearing only to realize that it is you speaking all too softly. 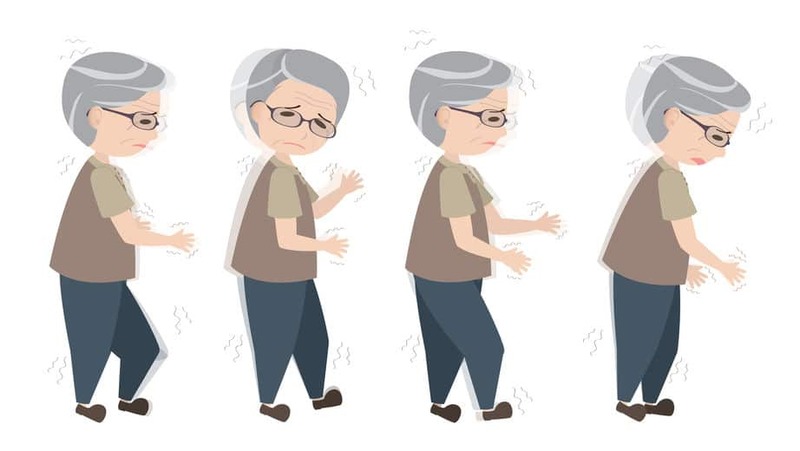 Parkinson’s disease is often denoted by dizziness when one stands up. The dizziness could also be accompanied by fainting as a result of low blood pressure. If you haven’t eaten the entire day, it is normal for this to happen as it only means you are running low on sugar. If not, get medical assistance first. You are better safe than sorry. Parkinson’s disease progresses in stages as described below. In this stage, an individual’s experiences mild symptoms. They generally are not intense enough to interfere with daily chores. Slight tremors and other movement symptoms may be experienced. They will appear on one side of the person’s body. Walking style, posture, and facial expression changes may occur. The symptoms get worse. Rigidity, tremor and other physical symptoms move to the other side of the body as well. Poor posture and problems with walking are apparent. An individual may still be in a position to live alone but daily activities are clearly getting more difficult to complete. This is the mid-stage. In this stage, slowness of movement and loss of balance are clear. An individual experiences falls often. Though still completely independent, the symptoms are severely impairing simple activities like eating and dressing. In this stage, the symptoms are limiting and severe. Though one can stand, they need assistance. To walk one will need a walker. In this stage, daily tasks are impossible to complete and one cannot live alone. This is the last stage. It is the most advanced. Rigidity in the legs causes one to lose their ability to stand and even walk. At this point, an individual may be bed-ridden or need a wheelchair to get around. 24-hour nursing care is required. One may also experience delusions and hallucinations. Technology in the medical world has significantly improved over the years. However, even with the improvements, doctors are still unsure what really causes Parkinson’s disease. What they do know is how the illness starts (with the death of dopamine neurons). But while the trigger for the death of these cells is unknown, scientists think that its occurrence is related to the environment one’s living in and genes. 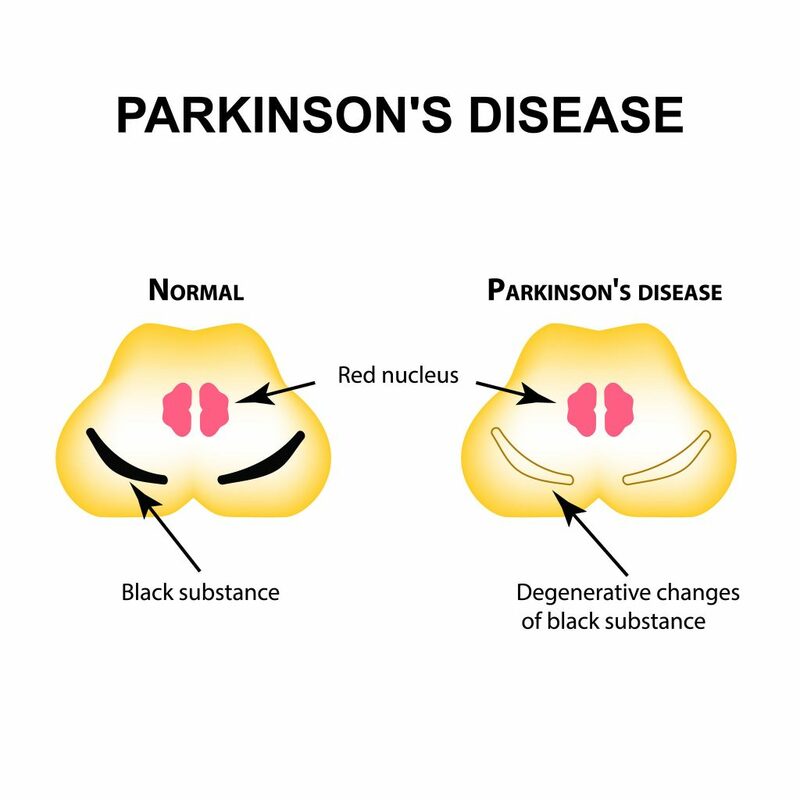 Below is what scientists think about the cause of Parkinson’s disease. Genes are like the body’s instruction manual. They contain information regarding the body. They determine how many eyes, eyebrows, mouth, and hands one will have, or tall or short they will be, how far apart the eyes will be, the density of hair and the color of your skin and hair. Every tiny detail is dictated by the genes. A slight change in any gene causes a major ripple effect that can be seen on how the body forms and operates. At times these changes mean one is susceptible to certain diseases. 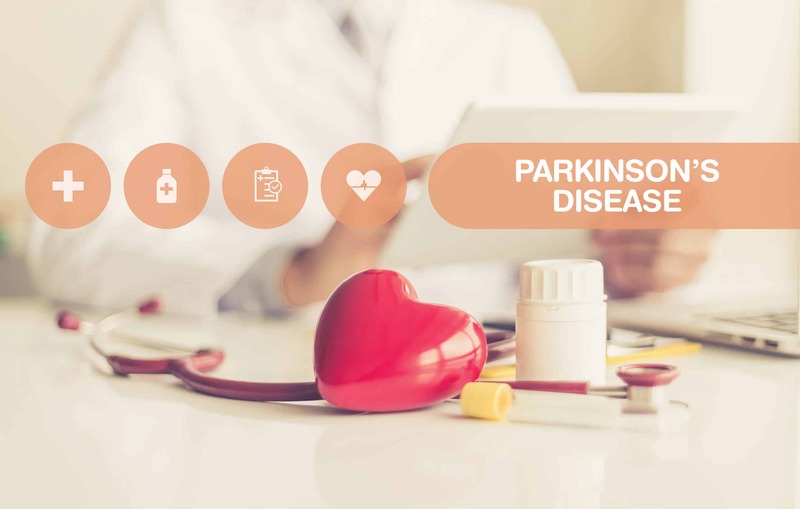 There are specific changes that are likely to cause a rise in one’s risk to develop Parkinson’s disease. These changes play a part in about 1 out of every 10 cases of Parkinson’s patients. That said, it does not necessarily mean that you will get the disease if you have these changes. Some will and some won’t. At times it has to do with something present in your environment. Can parents pass down the disease to their children? Well, yes, it has happened before, but honestly, the occurrence is quite rare. It affects a very small percentage of families. Studies show that the families affected are 1 in every 100 families. How does the environment come into play? How your environment comes in, in all of this is quite tricky. This is partly because with the environment, there is a lot of ground (pun intended) to cover. It includes everything that isn’t your genes. This could be your diet, where you live, the chemicals you have come into contact with and a whole lot more. Not only this, it also could take ages for effects from your environment to manifest as a disease. So far, all doctors have are really good clues and hunches. But none have a smoking gun. This is to mean that you could have an entire village living in an area where they are in contact with chemicals connected to Parkinson’s disease but most of them end up not getting it. Some chemicals and metals used in industries including lead, trichloroethylene, and manganese. All these materials could come into play depending on where you reside, what you do to earn a living or if you have served in the military. Note that at times these chemicals seep into well water. This could be yet another way the above chemicals could affect you. With risks, things only get fuzzier. But be it as it may, below are some of the factors that increase one’s risk to develop Parkinson’s. At the beginning of this article, I pointed out that individuals aged 60 and above are more at risk than those who are younger. However, there is a small percentage of individuals who will develop it at a younger age. As one ages, the risk of developing Parkinson’s along with other diseases increases significantly. I’ve pointed this out as well. If your brother, sister or parent have suffered from it, there is a chance that you may develop it too – albeit minimal and the occurrence is very rare. We all have to work to make ends meet. Growing up the jobs we wanted to do (our dream jobs) may not be what we ended up doing. But because rent has to be paid and food placed on the table, we take what we get. At times, especially with farming jobs or working in factories, people come into contact with some chemicals that have a direct link with Parkinson’s. I’m not one to dictate or condemn people for the jobs they do, but for the sake of your family and loved ones, even when desperate, be careful with the jobs you decide to take on. Studies show that Parkinson’s affect white people more than other races. This sounds unfair but then again, it is what it is. Hopefully, some bit of research and time will shed more light on this phenomenon and we get to nip the disease in the bud. 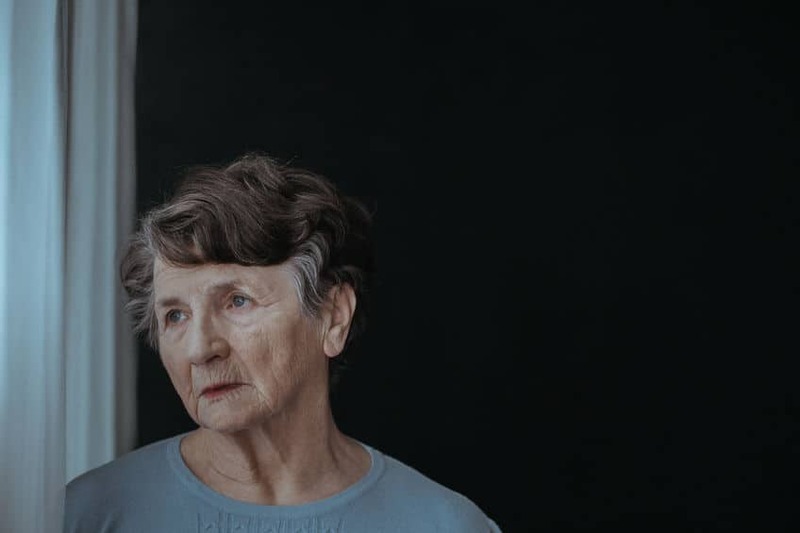 In the event you are involved in an accident that has you hit your head hard enough to sustain a concussion or suffer memory loss, you are likely to develop Parkinson’s disease later on in life. I guess this may explain why Muhammad Ali developed it (I could be totally wrong). Yet again, studies show that men are susceptible to Parkinson’s than women. It still isn’t clear why this is the reason. Growing up I always believed that rural areas were the best to settle down in and build a family. Industrialization and its negative effects were just too scary for me. But as it turns out, the rural areas are not any better. Living in the rural areas places you at a risk of getting Parkinson’s because of the farming chemicals that are prevalent in these areas. As it is, scientists are doing all they can to try and find the root cause of Parkinson’s. They have no additional clues right now, but if the past is anything to go by, they will soon have something tangible – they must for the sake of every patient in the world and the coming generation. So far, scientists have discovered that patients with Parkinson’s have lewy bodies lodged in their brains. These ‘bodies’ are simply clumps of proteins known as alpha-synuclein. In itself, the protein is normal. However, the clumps are not. They are usually found in areas that control smell and sleep. Their presence in these areas could explain the secondary symptoms. Additionally, the digestive system may have a part to play in all of this since some cells produce dopamine. Some health experts believe that some of the early Parkinson’s signs manifest in this system. These beliefs need more research though. Currently, there isn’t a cure that exists for Parkinson’s. However, there are therapies available designed to delay the start of motor symptoms and alleviate the symptoms. The different therapies are engineered to increase dopamine levels in the brain by either, mimicking dopamine, replacing it or prolonging its effect by inhibiting dopamine breakdown. Studies conducted show that the early therapy in stage 1 can delay the onset of the motor-related symptoms including tremor and rigidity resulting in improved quality of life. The best and most effective therapy for Parkinson’s is Levodopa. This is converted into dopamine. However, it is important to note that prolonged treatment with this substance leads to other side effects including painful cramps and involuntary movements. As such, health experts limit its use until motor symptoms become severe. Levodopa is often prescribed along with carbidopa which inhibits the breakdown of levodopa before it gets to the brain. In addition to the above medication, patients can also be given anticholinergics, amantadine or entacapone. These work differently but are overall designed to reduce Parkinson’s symptoms. Aside from medication, patients may also undergo surgical procedures including deep brain stimulation. In this surgical procedure, electrodes are implanted in a specific area of the brain. The electrodes are then connected to a generator that is implanted in the chest and close to the collarbone. This generator is designed to send the brain electrical impulses and reduce symptoms experienced. This treatment method may sound extreme but then again, when you are fighting for your life, every method is an option. In some cases, doctors may recommend some lifestyle changes including regular aerobic exercises, physical therapy which focuses on stretching and balance. It might be suggested that one consults a speech-language pathologist to help with any speech problems that may arise. 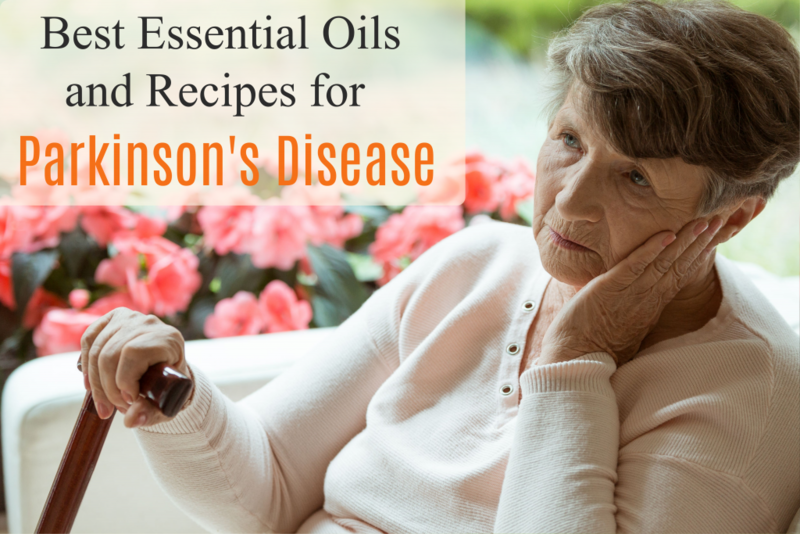 Since the approach with Parkinson’s is to reduce the symptoms and improve the quality of life, essential oils come in real handy. 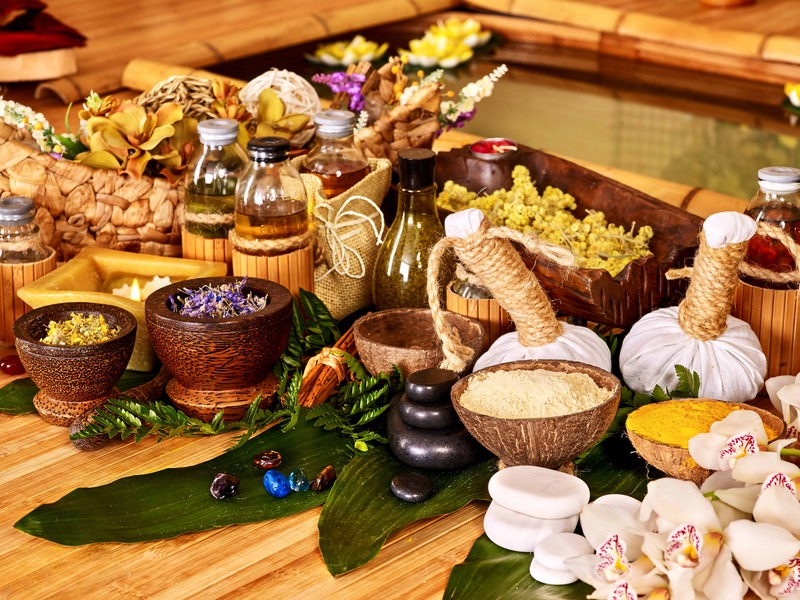 Studies have shown that essential oils are known to have benefits to the body, mind, and spirit. And most essential oils can treat more than one symptom (this is the best part). 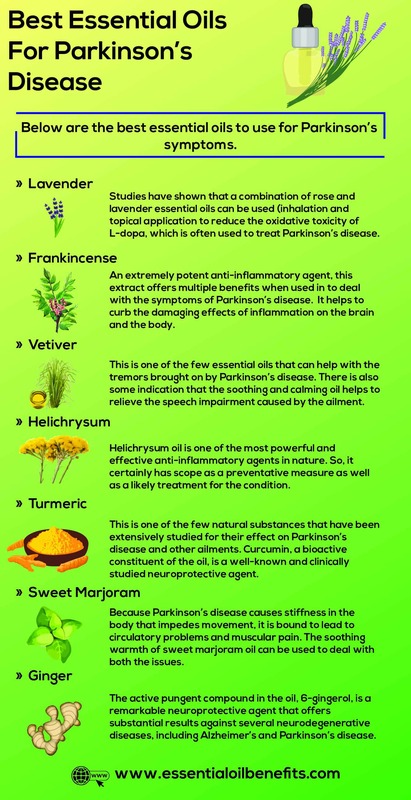 Below are the best essential oils to use for Parkinson’s symptoms. If you thought that lavender oil’s ability to heal is restricted to the skin, think again. The aromatic molecules from this oil are powerful enough to deal with inflammation in all parts of the body, including the noggin. In addition to its noteworthy anti-inflammatory effects, this fresh smelling oil is also a potent antioxidant agent. 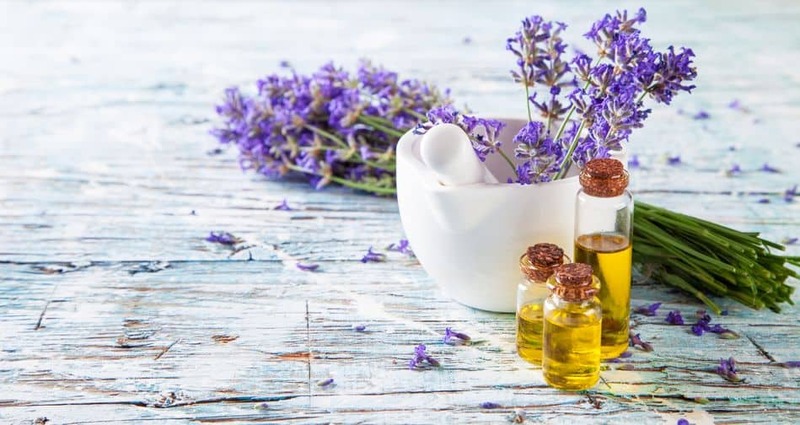 Studies have shown that a combination of rose and lavender essential oils can be used (inhalation and topical application) to reduce the oxidative toxicity of L-dopa, which is often used to treat Parkinson’s disease. An extremely potent anti-inflammatory agent, this extract offers multiple benefits when used in to deal with the symptoms of Parkinson’s disease. For starters, it helps to curb the damaging effects of inflammation on the brain and the body. Moreover, the extract also helps against the stress, depression and mental trauma caused by the ailment. This is one of the few essential oils that can help with the tremors brought on by Parkinson’s disease. There is also some indication that the soothing and calming oil helps to relieve the speech impairment caused by the ailment. Plus, you can always rely on the earthy and woody aroma of this extract to offer reprieve from stress, anxiety and sleep disorders. 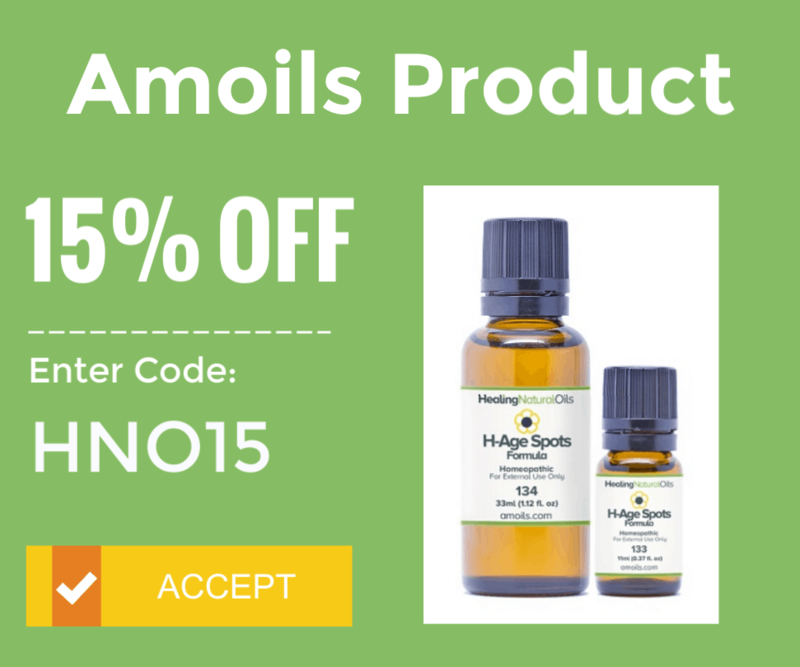 Another anti-inflammatory agent, this oil is frequently used for conditions that involve widespread inflammation. Although the exact cause of Parkinson’s disease remains poorly understood, a few studies have pointed to inflammation as a likely trigger. Even if you were to discount this theory, the fact is that the degeneration of brain cells is bound to cause inflammation. 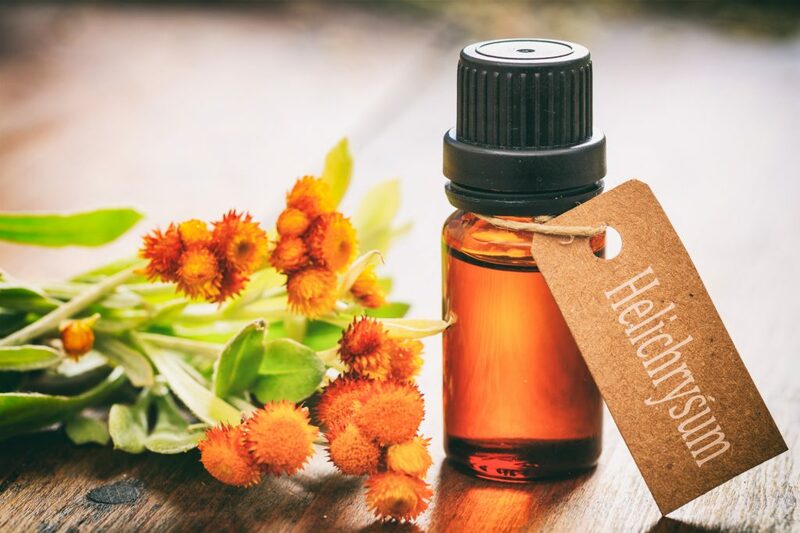 Helichrysum oil is one of the most powerful and effective anti-inflammatory agents in nature. So, it certainly has scope as a preventative measure as well as a likely treatment for the condition. This is one of the few natural substances that have been extensively studied for their effect on Parkinson’s disease and other ailments. 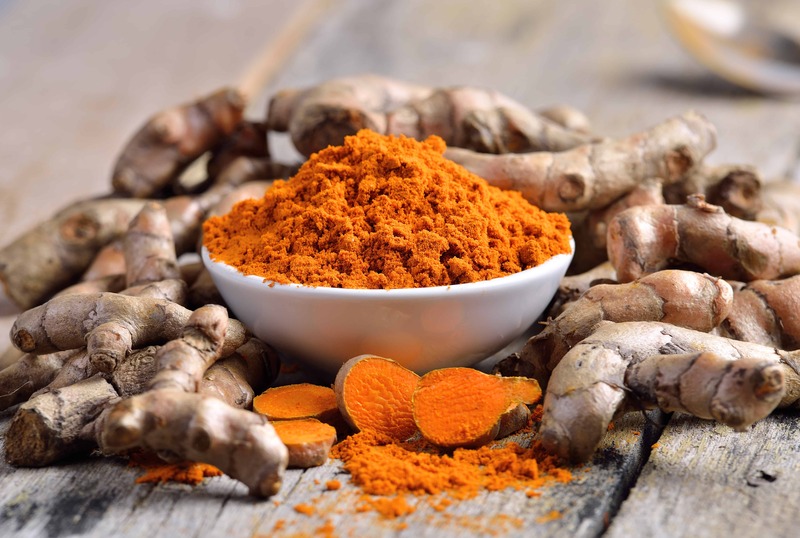 Curcumin, a bioactive constituent of the oil, is a well-known and clinically studied neuroprotective agent. In addition to being a potent anti-inflammatory substance, turmeric oil also doubles up as a powerful antioxidant agent, when used topically and through diffusion. The biggest advantage of using this oil against Parkinson’s disease is that it is one of those rare substances found in nature and in laboratories that actually gets through the blood brain barrier and reaches the part of the body, where it can launch a direct attack on the inflammation and the damage it has caused. Hence, turmeric essential oil can be used to prevent or lower the risk of suffering from the ailment as well as to slow down and possibly halt the progression of the disease. Because Parkinson’s disease causes stiffness in the body that impedes movement, it is bound to lead to circulatory problems and muscular pain. 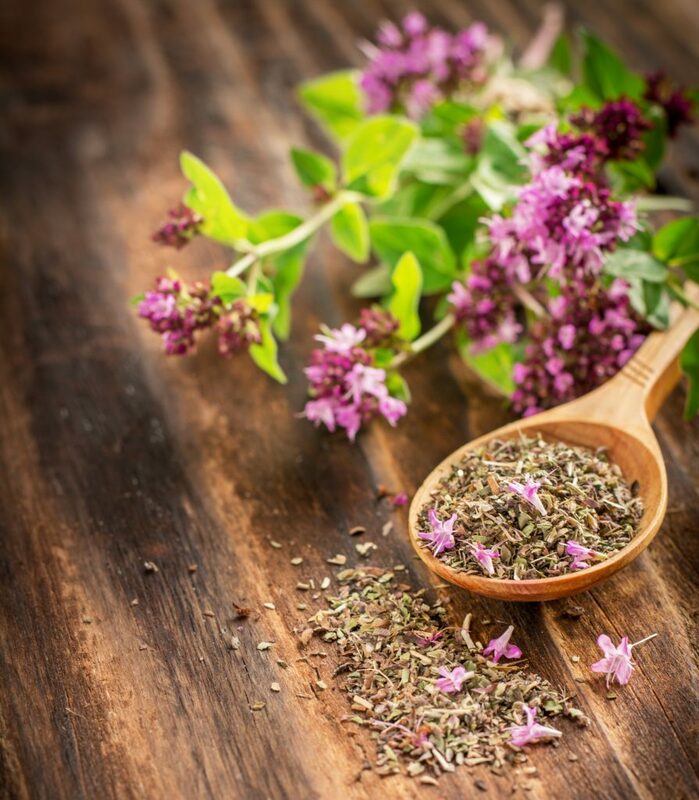 The soothing warmth of sweet marjoram oil can be used to deal with both the issues. The heat generated by the extract helps to draw blood to the sore areas of the body. Also, it boosts the workings of the lymphatic system thus leading to the faster purging of inflammatory chemicals and metabolic waste, which add to the pain. 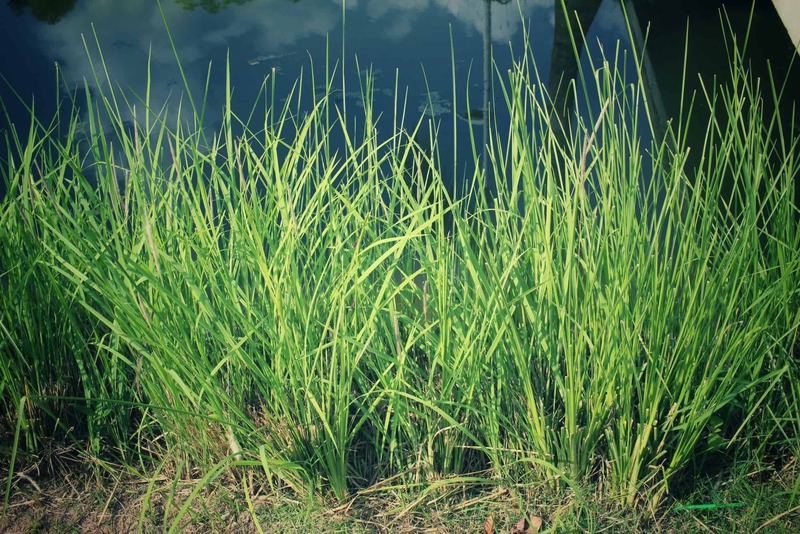 The humble rhizome and the oil derived from it have long been used to deal with muscle pain and stiffness. Another oil that improves the movement of blood and lymphatic fluids in the body, this extract can be employed to deal with pain and edema caused by the movement problems that are hallmarks of PD. 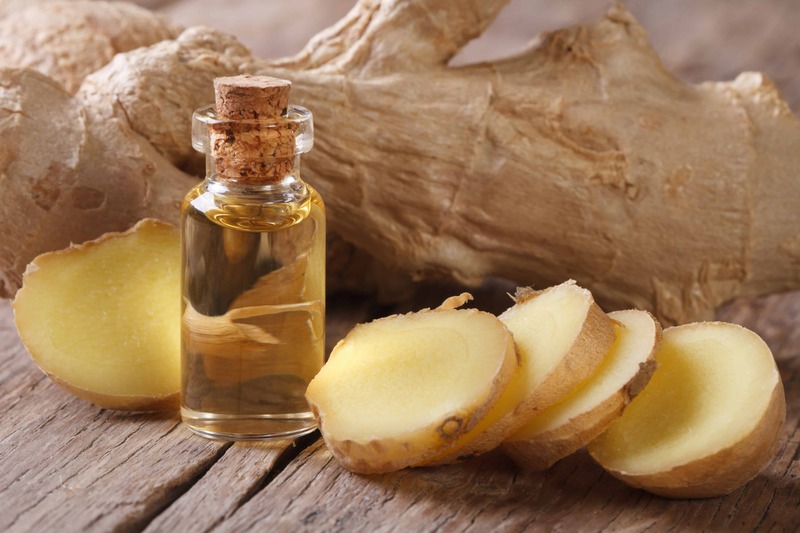 Furthermore, 6-gingerol, which is the active pungent compound in the oil, is a remarkable neuroprotective agent that offers substantial results against several neurodegenerative diseases, including Alzheimer’s and Parkinson’s disease. In addition to these, you can use the essential oil of basil for its antispasmodic and analgesic effects; cinnamon bark for its content of cinnamic aldehyde which is a neuroprotective and anti-inflammatory compound; copaiba for its ability to relieve tremors and nerve dysfunction and pain and clove for its content of beta-caryophyllene that exerts a neuroprotective effect on dopamine neurons. The above essential oils have excellent pain-reliving properties on their own. However, when used together, their painkilling and healing properties are amplified. For the resulting blend to be effective, you need to pay attention to the ratios above and introduce a carrier oil which allows the blend to penetrate deep into the muscles. Blend the oils in a small glass bottle. Apply a few drops on your palm and massage on affected muscles, back, legs, neck and other vita flex points on the feet. 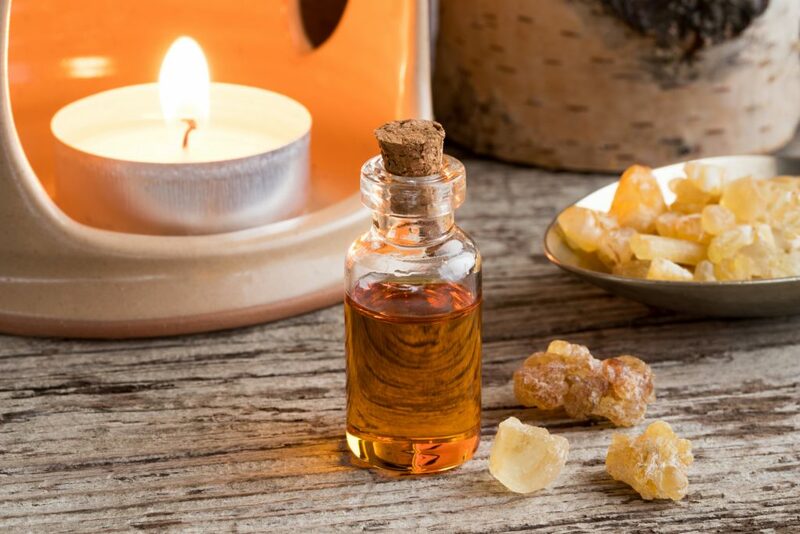 Helichrysum and frankincense help to reduce inflammation and vetiver essential oil, on the other hand, will help with mild tremors. Mix all the oils together in a dark amber bottle and get someone to massage the blend at the back of the neck and along the spine twice daily. The above blend can help keep the edge off. When you are feeling overly anxious or are agitated, you can use this blend to help you relax and calm down. I don’t have Parkinson’s but I still use this combo of essential oils to unwind after a tiresome and stressful day. To make the blend, just mix the essential oils, add to your diffuser and sit back and enjoy the refreshing aroma. This blend can lift your spirits and help you see life differently. Simply mix the essential oils in a glass bottle. Once the blend is ready, add 8-10 drops of the blend to a warm bath or even use it like massage oil. Remember to dilute in a carrier oil if you are using it for a massage (3-4 drops of the blend in a tsp of coconut oil). The above blend will help if you are experiencing side effects of Parkinson’s disease such as headaches and dizziness. To help reduce your risk of falls, this blend will work perfectly. Mix all the oils in a small glass dish and apply to your neck, temples, forehead and behind the ears. You can also diffuse the above blend if you prefer – simply add 2 drops each of the essential oils (excluding almond oil) in your diffuser and inhale the vapors. Use the above blend for grounding and to find balance. Add in the essential oils in a roller bottle and top up with coconut oil. Replace the lid and give it a good shake to mix. Use it on the back of your neck, temples and behind your ears. Be sure to store the blend in a cool, dark place away from sunlight. Parkinson’s is a scary disease. It has been the cause of the demise of many boxers, wrestlers, celebrities and influential people in the world. While there is no known cure yet, there are ways to delay the onset of the symptoms and keep them under wraps. Essential oils are by far the most natural way to do this without the backlash of nasty side effects. Hopefully, a cure for the disease is just around the corner. My mum suffers from Parkisnon’s disease and it is the worse thing than anyone can experience. It is not hereditary, she is the very 1st person in the family to get this; started at the age of 62. She has suffered 4 falls and on all 4 occasions broke her wrists and the last time was simply while walking. She is already incapacitated with PD, now with her broken wrist, the world seems to fail her again. She is a very courageous lady and very lucky to have a strong support group around her; she is still very active, perhaps too active, but that’s the way she’s been all her life. She used to be a champion athlete in her teens and broke multiple records in Mauritius. We have more than 60 of her trophies at home. She does various therapies 3xtimes weekly, including exercises, stretching, etc. It all seems to help her as she can reduce the meds to 3-4 hour interval vs every 2-3 hrs. She still loves cooking and doing all the necessary stuff at home, but needs to have someone around her at all times just in case. Parkinson’s itself won’t kill you, but the risks associated with it are terrifying. It is not even possible for her to even wake up from bed, she needs the meds to start off the day. And this is the way it is unfortunately. She has mentioned deep brain stimulation therapy, but its not for everyone and even as courageous as she is, it is best to put up with the symptoms rather than try DBS as it scares her as it scares me. She has used the L’orpur pain relief blend and it definitely helps her with muscle or all types of pain; I will let her know about the other essential oils and I just found out from your article about the health benefits of turmeric, so thanks for that! To all of you out there who have family, friends, relatives with PD, hope a cure will be found as it is one of the most debilitating health conditions out there. Thanks for reading and thanks for sharing Olivia! There’s not a lot to add to this, other than to say thank you for such a lovely praise and simply reflect on humanity!